through fields and woodland before crossing the cattle grid at Clannaborough Farm and entering open moorland. Continuing to follow signs for South Zeal, cross another cattle grid at Shilley Bridge and carry on to Week Cross. lane to meet the B3260 at Drybridge (note the spoil heaps of the former Ramsley copper mine on the right, devoid of vegetation due to the high arsenic content). Turn left towards Sticklepath and Okehampton. Side-trip to South Zeal. After 800m turn right down a narrow unsigned lane; bear left at the next junction to reach a T-junction at the bottom of the hill. Turn left through the pretty village of South Zeal, passing The Oxenham Arms, South Zeal Stores and Tea Room, and The Kings Arms. To rejoin the route turn left at the crossroads at the top of the hill to meet the B3260, and turn right. A steep climb up the side of Belstone Cleave takes you past the former stables where the road levels out and bears left towards Belstone. Coming to a junction between houses, turn left and into the village. has a wonderful position overlooking Cosdon Hill, which rises to 550m / 1805ft above the valley of the River Taw. 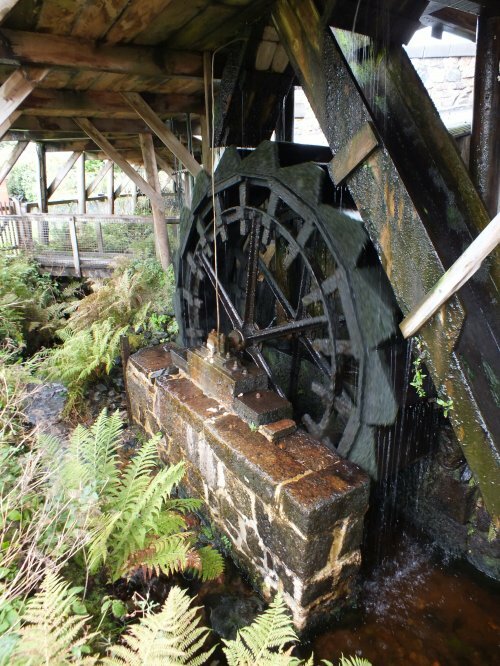 Copper was worked locally in the 19th century. The ridgeline of the lofty Belstone Tors, to the south of the village, is crossed by the Irishman`s Wall, said to have been built to enclose land against the wishes of the locals; as a result it was never completed. At the time of writing plans are afoot for a tearoom behind the old Methodist chapel on the green. Keeping the green and stocks on the left follow the road past the former post office and telephone kiosk, then turn right on an unsigned road. Cross a cattle grid and start to descend for c1.6km / 1 mile, with distant views of Exmoor on a clear day. At Tor Down Cross follow the sign straight ahead for Okehampton, passing East Lake Farm Riding Stables and continuing under the A30 dual carriageway and the line of the Dartmoor Railway. From Fatherford Bridge turn left up the unsigned lane to reach houses at Giblands. Cross the staggered junction to meet the B3260 at Giblands Cross. Turn left and head down to the centre of town (busy road: take care). Cross one set of traffic lights (police station right) and continue downhill along Fore Street, crossing another, and then the West Okement River. 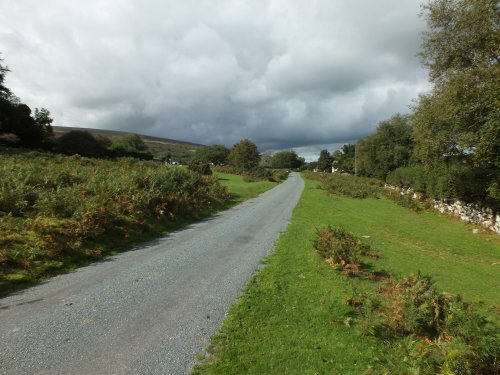 Immediately (before St James Church) turn left across the pavement and up St James Street (the Dartmoor Way joins Sustrans Route 27 from here to Clearbrook). 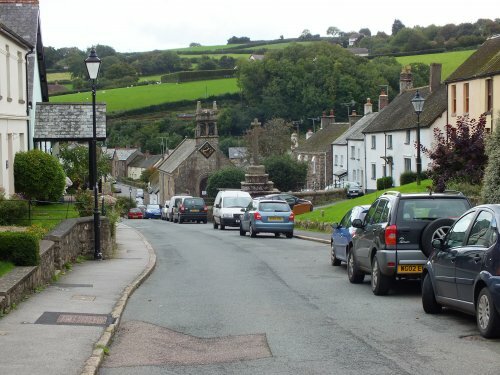 Okehampton has suffered mixed fortunes over the years. It developed as a market town, and a staging post on the road to London. The railway arrived in 1867, with regular services ending in 1972. Its livestock market ended in 1958, after a run of almost 900 years. It is perhaps best known today as being home to Okehampton Camp, built in 1893; parts of Dartmoor have been used for military training since 1873. 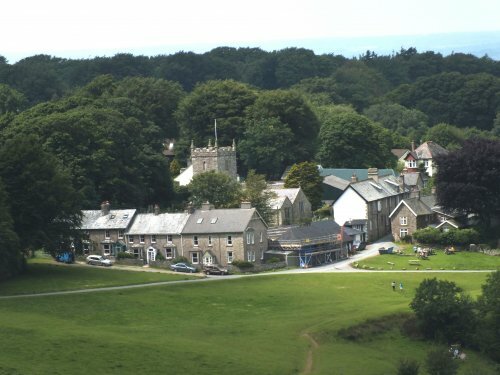 Okehampton Camp is also well known for hosting the Ten Tors Challenge every May, involving 2,400 teenagers who undertake a strenuous walking and camping expedition on the moor.